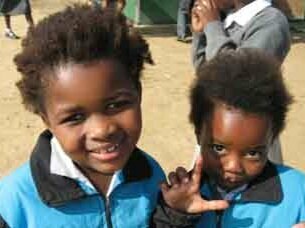 Eagle's Nest Christian School is situated on the Cape Flats in a settlement of very poor people. In 2008, because of rapid growth in enrolment and demand for education, donors from Canada provided funds for the purchase and installation of two portable classrooms. Portables were the preferred buildings for the school because at the time the land was leased, the city authorities could require the school to move to another location. Since then the land has been sold to the school. In 2009, an additional classroom was installed. As the school has become more established, local businesses and community groups have become involved. Today Eagle's Nest has over 300 students from nursery through grade 7.